It was Saturday night. The girls were asleep, Steve was watching something comic book related on TV (? ), and all my chores were done....so what did I do: I made myself a cup of tea, cued up the playlist on my phone, and settled down at my craft table for some much needed creative time. 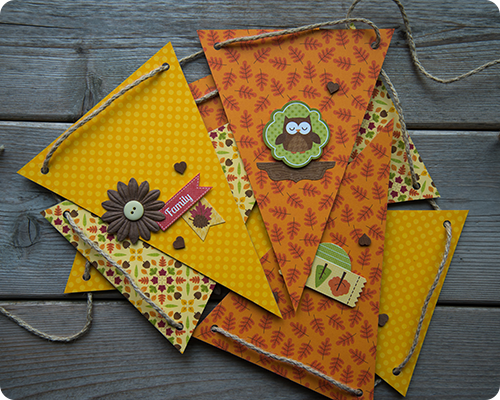 Using papers and embellishments from the Happy Harvest Line by Doodlebug Designs, I worked away on my little crafty project while singing along to every song (out loud). Yes, I was in my happy place. I picked three patterned papers from the line and used them to cover cardboard triangles. I love arranging little clusters of embellishments, which I did on my bunting pieces. 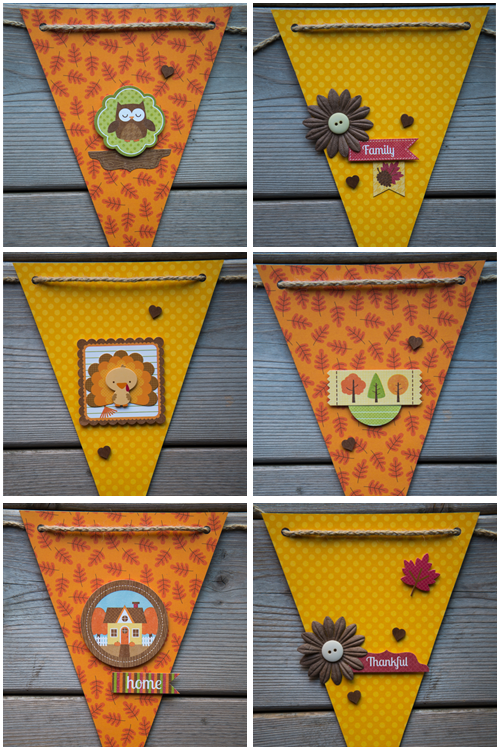 All in all, a very happy evening.....and a beautiful autumn bunting. Bunting is such a happy thing, isn't it? I've made several over the years - some sewn, some crocheted, some paper - and they always make be very happy. Thanks Leslie. It was a lot of fun to make and I love how it turned out.